Join the Qantas Club now and save $248! As a member of SCOA, you can join the Qantas Club or renew your Qantas Club membership through SCOA at a discount. The Qantas Club offers that little bit of home away from home at the airport. Discounts on Qantas Meeting Rooms in Australia (5). Join the Qantas Club now for only $690.18 ($442.80 for a one year membership + $247.38 joining fee), or save even more with a two year membership. Applications welcome any time during the year. For more information or to join the Qantas Club today, please contact SCOA’s Qantas Club coordinator Alan Raftery by email to qantas@scoa.asn.au or call Alan on mobile 0408 850 535. Prices are current as at 15 August 2017 and subject to change without notice. (1) Qantas Club membership and access is subject to the Terms and Conditions of the Qantas Club. Qantas Club members may access a Qantas Club when their next flight the same day has a QF or JQ flight number on their ticket. Partner and associated lounge access is subject to various conditions of entry. Qantas Club members may access Qantas operated International Business Lounges during lounge operating hours when their next onward flight that day is with Qantas with a QF flight number. Qantas Club members will also be welcomed at the Emirates Business Lounge in Dubai and the American Airlines Admirals Club© in London (Heathrow) when their next onward flight that day is with Qantas with a QF flight number. 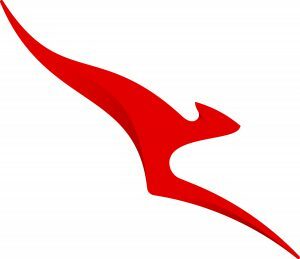 (2) If you’re flying domestically on Qantas, QantasLink or Jetstar within Australia, and on Jetstar within New Zealand, you may bring one guest to join you in a Qantas Club lounge. When visiting an international Qantas Club lounge, you are able to invite one guest each time you visit. Both you and your guest need to be travelling together further that day on the same flight. (3) On Departure Upgrades using Qantas Points are subject to capacity controls, and availability is limited and only available on Qantas operated flights with a QF flight number on the ticket. For more information, see Qantas Flight Upgrade Awards. (4) Extra checked baggage allowance is only available on Qantas operated jet flights with a QF flight number on your ticket and varies by route and travel class. Piece, size and weight restrictions apply. (5) Meeting room capacity varies by port. SCOA Australia is an apolitical, not-for-profit national retiree organisation established in 1923. SCOA pursues fair retirement conditions for its members and assists them to access information about superannuation, age pension, taxation and many other seniors’ benefits through this website and our quarterly newsletter SuperTime.